Notice 2015-09 provides limited relief for taxpayers who have a balance due on their 2014 income tax return as a result of reconciling advance payments of the premium tax credit against the premium tax credit allowed on the tax return. This Notice provides limited relief for taxpayers who have a balance due on their 2014 income tax return as a result of reconciling advance payments of the premium tax credit against the premium tax credit allowed on the tax return. Specifically, this Notice provides relief from the penalty under § 6651(a)(2) of the Internal Revenue Code for late payment of a balance due and the penalty under § 6654(a) for underpayment of estimated tax. 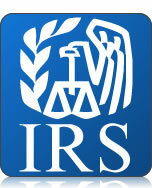 To qualify for the relief, taxpayers must meet certain requirements. This relief applies only for the 2014 taxable year. This relief does not apply to any underpayment of the individual shared responsibility payment resulting from the application of § 5000A because such underpayments are not subject to either the § 6651(a)(2) penalty or the §6654(a) penalty. A taxpayer may receive assistance in paying premiums for coverage in a qualified health plan through advance payments of the premium tax credit. Advance credit payments are made directly to the insurance provider. The amount of the advance credit payments is determined when an individual enrolls in a qualified health plan through an Exchange and is based on projected household income and family size for the year of coverage. A taxpayer claims the premium tax credit on the income tax return for the taxable year of coverage. The amount of the credit is based on actual household income an family size for the year reflected on the tax return. Under § 36B(f)(2) and § 1.36B- 4(a)(1)(i) of the Income Tax Regulations, a taxpayer must reconcile, or compare, the amount of premium tax credit allowed on the tax return with advance credit payments. Changes in the circumstances on which the advance credit payments are based could result in a difference between the amount of advance credit payments and the premium tax credit to which the taxpayer is entitled. If advance credit payments are more than the premium tax credit allowed on the return, the difference (excess advance payments) is treated as additional tax and may result in either a smaller refund or a larger balance due (or, if the premium tax credit allowed is more than the advance credit payments made, the excess credit amount may result in a larger refund or lower balance due). Taxable year 2014 is the first year for which taxpayers will be required to reconcile advance credit payments with the premium tax credit. The Service will abate the § 6651(a)(2) penalty for taxable year 2014 for taxpayers who (i) are otherwise current with their filing and payment obligations; (ii) have a balance due for the 2014 taxable year due to excess advance payments of the premium tax credit; and (iii) report the amount of excess advance credit payments on their 2014 tax return timely filed, including extensions (Line 46 of Form 1040 or Line 29 of Form 1040A). Further, the Service will waive the § 6654 penalty for taxable year 2014 for an underpayment of estimated tax for taxpayers who have an underpayment attributable to excess advance credit payments if the taxpayers (i) are otherwise current with their filing and payment obligations; and (ii) report the amount of the excess advance credit payments on a 2014 tax return timely filed, including extensions. This entry was posted on January 27, 2015 at 06:35	and is filed under Taxation. Tagged: ACA, obamacare, Premium Tax Credit. You can follow any responses to this entry through the RSS 2.0 feed. You can leave a response, or trackback from your own site.